Headingley’s green girdle of half-a-dozen parks provide havens for a wide range of wild animals – and different creatures favour different parks. In addition, much of Headingley has a rich tree cover. At the same time, parks are a favourite venue for domestic animals – especially dog-walkers. For details, go to Parks. Meanwood Beck flows between The Hollies and Meanwood Park, and below Woodhouse Ridge, and is a distinctive habitat for water-side creatures – ducks of course, but also herons, kingfishers and so on. Between Grove Lane and Monkbridge Road there are a pond and a wildflower meadow. 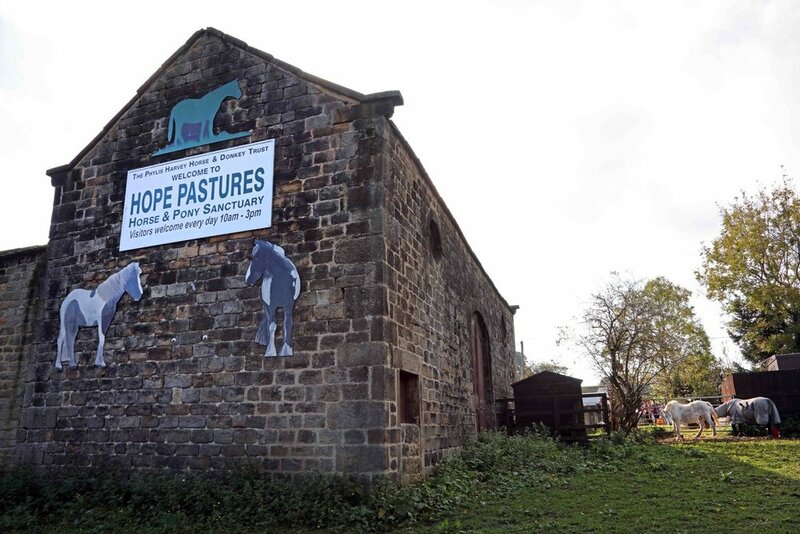 ● Hope Pastures provides a sanctuary for horses, ponies and donkeys, and is open to visitors. ● Four Paws Pet Shop on Butcher Hill provides a great range of products, and a hub of information relating to local dog and cat based issues; they don't sell any animals. ● Goods for both wildlife and pets can also be found at Wilko’s in the Arndale Centre. Headingley once had a zoo. The Zoological & Botanical Gardens (the ‘Old Gardens’) were opened in 1840 but lasted only a few years, before being sold for housing. The vestiges which remain include the Bear Pit on Cardigan Road, most of the perimeter wall, and the spacious properties built on the site, between Spring Road and Cardigan Lane. For more info, go to Headingley Zoo.